But here is the thing: we are simply not ready to handle it yet. IPv6 requires completely new systems, new schemes and it needs Internet Service Providers to completely change their protocols. And that’s not going to happen any time soon. While new systems are more than capable of handling both IPv4 and IPv6, the same cannot be said for the other side. That means that we need to wait a very long time for the full integration of IPv6. We are not talking about a few years here. At the very least, it might take a decade. Till then are continue going to have IPv4 as the default protocol for the internet. But this has given rise to another problem. Each day, more and more users are finding their way around the internet and connecting to several different networks in one way or another. And since each connecting device needs a unique identification address, the amount of IPv4 is quickly running out. Businesses have taken a notice of this problem and are looking for solutions that will allow them to grow their business without the scarcity of IPv4 addresses acting as a hindrance. If you belong to one such organization, then you have two options open to make that happen. You can either buy IPv4 number blocks (but it’s not an option that is for everyone) or you can lease them. This option is not just for potential buyers but sellers who do not wish to part with their number blocks quite yet can avail this option too. Leasing IPv4 number blocks allows you to effectively control your budget. Businesses constantly need to reassess their situations. Leasing is a lot easier than buying. This way you can increase or decrease the number of data blocks you need as you expand. 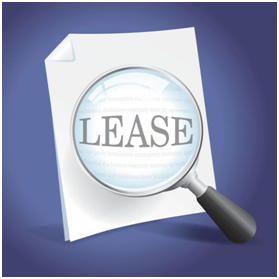 Leasing also gives you a lot of time to think things over without halting your business. While you utilize the leased number blocks, you can get time to decide whether you want to continue leasing the number blocks or go in another direction. Where Should You Go to Lease IPv4 Number Blocks? IPv4 Mall of course! We are a trusted, reputable and leading IPv4 brokerage service. In fact, we are among the pioneers in the IPv4 address brokerage services. We are known for our strong customer commitment, integrity, transparency of services, diligence and quality assistance. We are very proud to say that we are the leading IPv4 number blocks leasing service. Our main goal is to connect you with a network of clients who are trusted and will lease IPv4 addresses at a reasonable rate. Click here to lease IPv4 space right now! And if you change your mind, then you can also buy IPv4 addresses with the same ease.